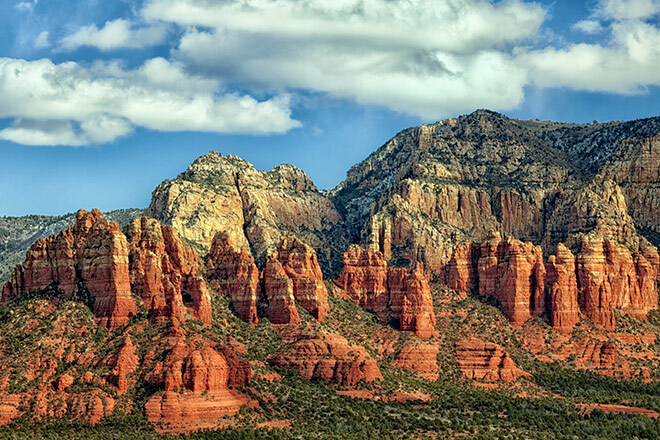 Sedona is a world-class winter destination full of amazing desert riding. 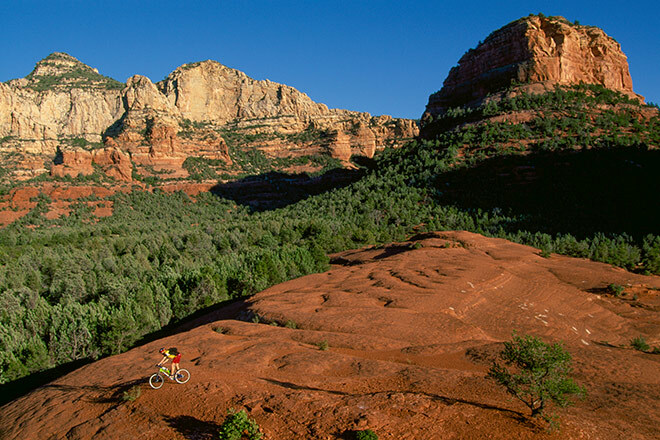 These trails have a bit of everything: majestic ponderosa pine forests; steep switchbacks; slick rock; and amazing red rock views. 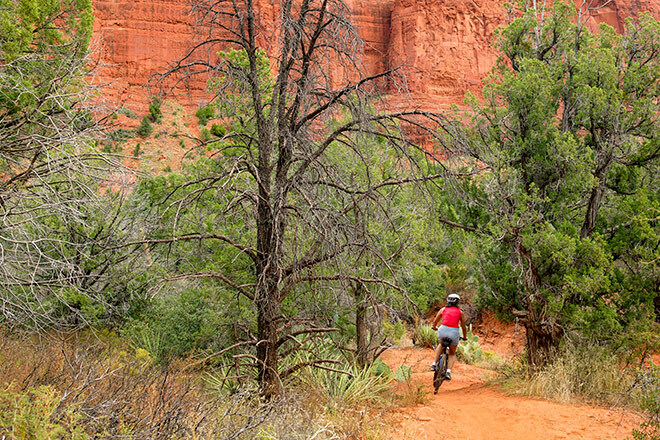 Sedona is fast-becoming a premium mountain biking destination, yet you can still find solitude amongst the cacti and single track. 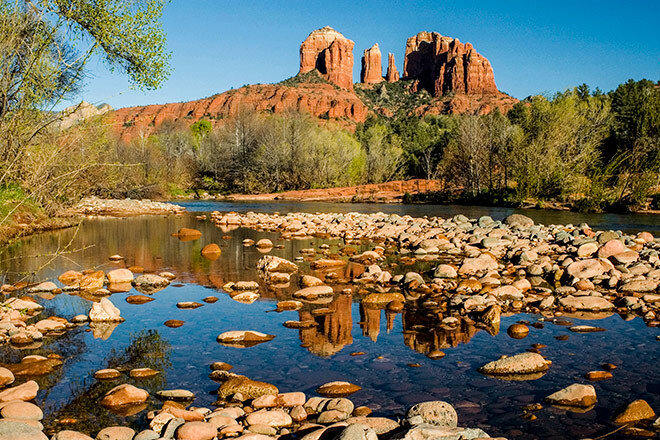 On the first day we ‘ll ride some of the classics: the Bell Rock Pathway, Cathedral Rock, Broken Arrow, the Llama Trail, the Templeton Trail, Baldwin Loop and Little Horse, before heading towards Chicken Point. 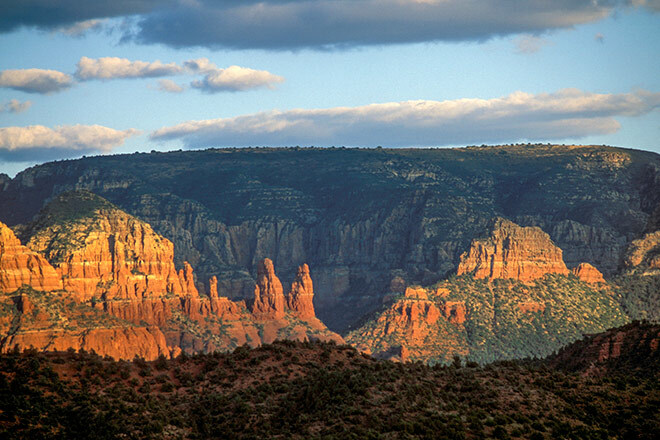 On day two, we’ll check out West Sedona, which see far fewer tourists but still has fantastic country tracks in a gorgeous setting. We won’t miss Chuckwagon, Gunslinger, Mescal, Aerie, Cockscomb, Western Civilization and the Last Frontier. Mescal, in particular, is a gem of flowing red slickrock with a huge basin on one side and towering cliff faces on the other. 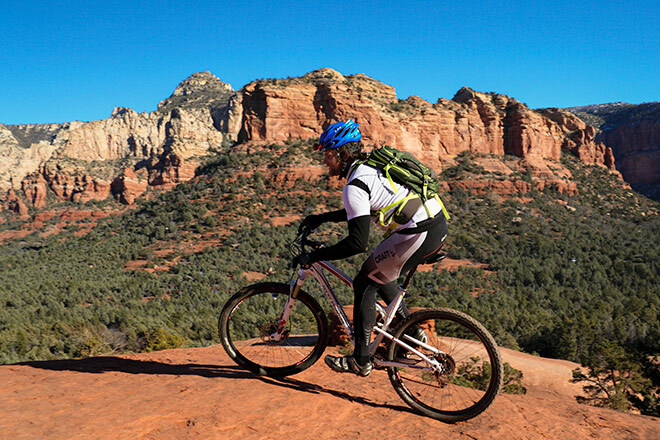 Sedona has mountain bike trails for every type of rider and you’ll never be without an unforgettable red rock view. You’ll find sandy single track, double track and some road connectors, as well as slickrock. 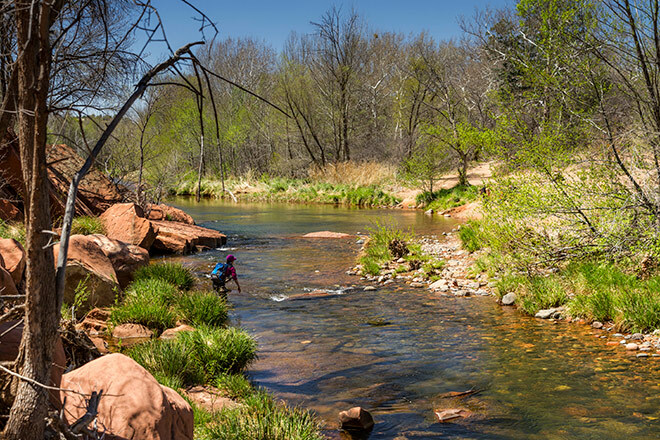 Sedona has one of the most extensive, best-connected, not to mention one of the most enjoyable trail systems anywhere in the world. Make your ride as long or as short as you like, depending on the demands of the group.